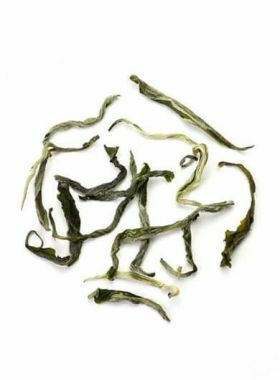 Lu An Gua Pian is of thicker taste than other green teas, thus it is great for people who like green tea with stronger taste. 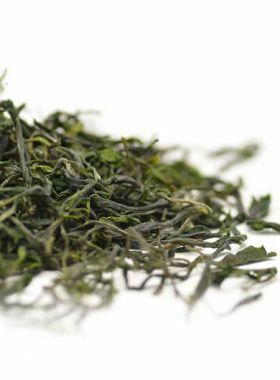 Rather different for a green tea, this Lu’an Guapian has a sweeter taste and a strong aroma, both overlaid with an almost smoky, spicy tang; the taste is approachable with just a hint of that usual grassy greenness, though is far from overbearing. 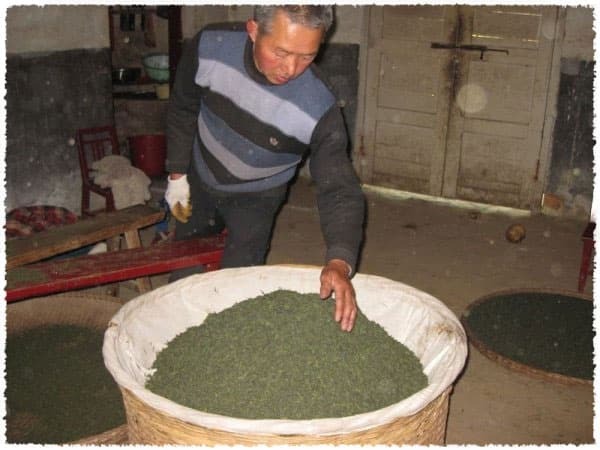 The process of production of Lu’an Guapian is unique: it is the only kind of tea made of pure leaves, without any buds or petioles. Only leaves picked before the lunar term called “Grain Rain”, around April 20th-21st, are used as material; not only is this unique, but also difficult. Picking the fresh leaves of Lu’an Guapian takes a lot of effort, and must be only the second piece of leaf from the top. After being picked, the leaves must be spread for a period of time and then stir-fried, requiring temperatures high enough to turn the workers’ faces red. 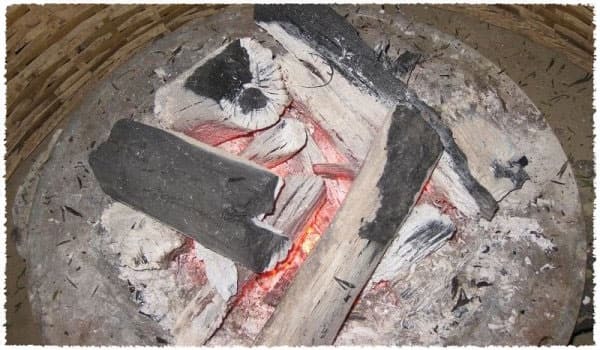 This work cannot be done if the workers do not have perseverance and skill: the key is to control the fire’s temperature, and the workers need to adjust the time of frying depending on the changing of the temperature, which is quite difficult. The roasting of Lu’an Guapian is something else unique, too. It takes three steps to produce the characteristic and beautiful flavor: a first roast, a second lighter roast, and then the third roast. 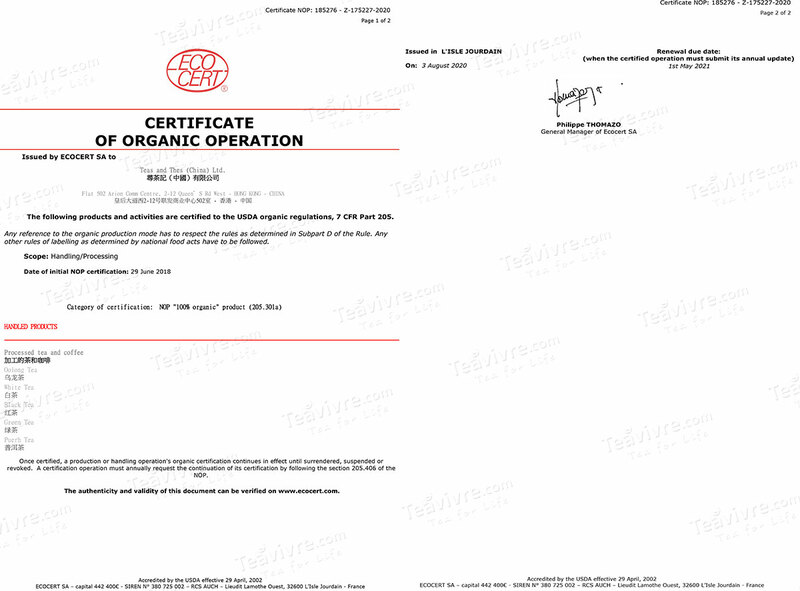 The doors and windows of the roasting room must be locked tightly during these stages, all three of which are key with the third being the most important also most difficult. 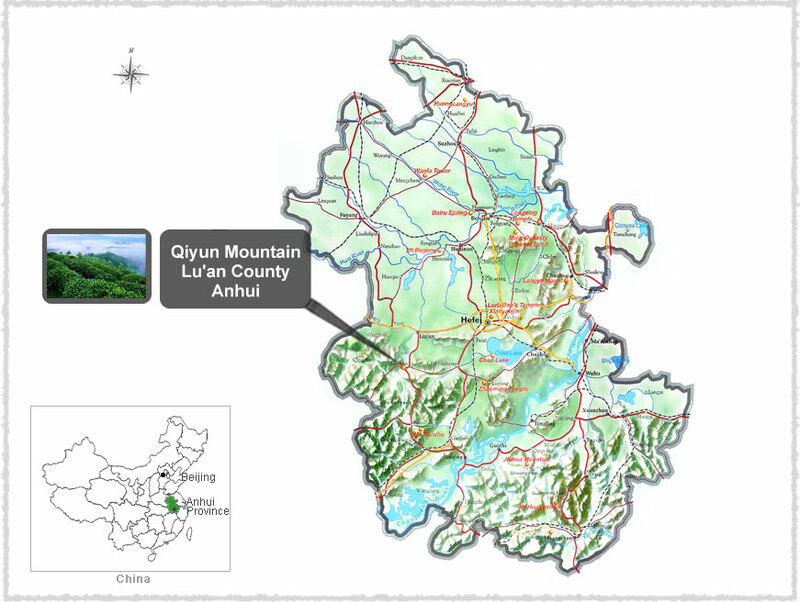 Our Lu’an Guapian comes from its home region of the Qiyun Mountain in Lu’an County, Anhui. Farms climb up along the high slopes of the mountain, all above 500m and surrounded by natural forests and peaks. The warm weather, abundant rainfall and rich soil texture all make it best environment for growing of tea trees. 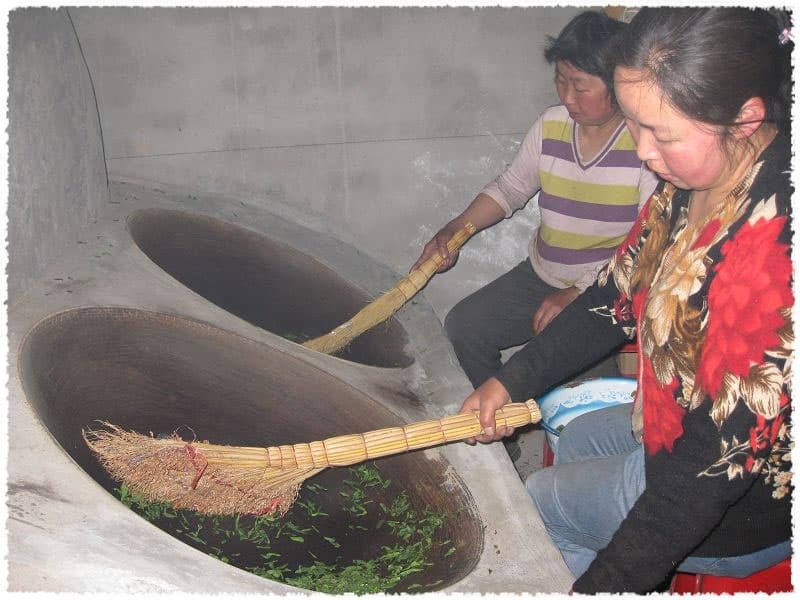 Lu An Guan Pian is made from tea leaves from Lu’an local small-leaf tea bush species which is grown on Qiyun mountain area where the environment is ecologic to make high quality tea moistening by fog. The leaves contains high protein makes the tea great taste and nutritive value. 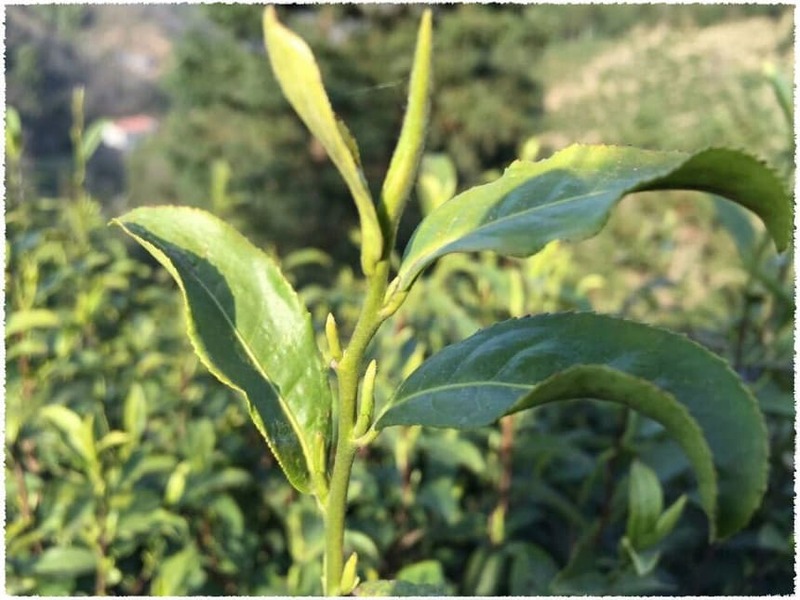 According to the owner of the farm growing this tea, Lu’an Guapian found its roots in 1905 when a local tea master from the Lu’an Tea Shop purchased some larger tea leaves, and then innovatively removed the stems and stalks to leave only the cut-down leaves. This tea was an immediate success, and inspired all of the other local farmers to produce tea in a similar fashion. 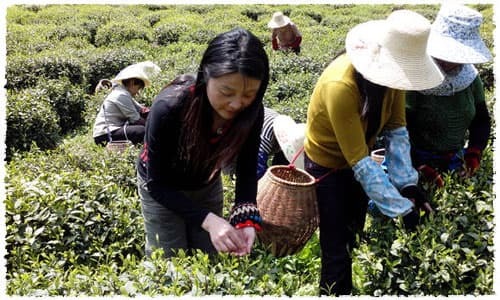 In the following years, the involved rolling and pan-drying tea production process still used today came around, and this gave rise to Lu’an Guapian’s distinctive plump shape and complex taste.